Orleans, MA – Cape Cod 5 is pleased to announce the promotion of Laura Newstead to Executive Vice President, Chief Human Resources Officer. As an active industry and community leader, Newstead serves on the American Bankers Association’s Professional Development Advisory Board, on the Calmer Choice Board of Trustees, as a mentor with Cape Cod Young Professionals and on the Board of Trustees for Cape Cod Community College. She is also actively engaged with Entrepreneurs for All as a mentor. Newstead holds a Master of Science Administration degree in Human Resources from Central Michigan University, a Bachelor of Arts degree in Secondary Education and English from Western Michigan University and is currently pursuing a PhD in Organizational Leadership at Indiana Wesleyan University. 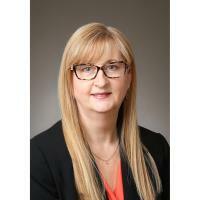 In addition, she holds the following professional designations: Senior Professional in Human Resources (SPHR) and Senior Certified Professional (SCP).